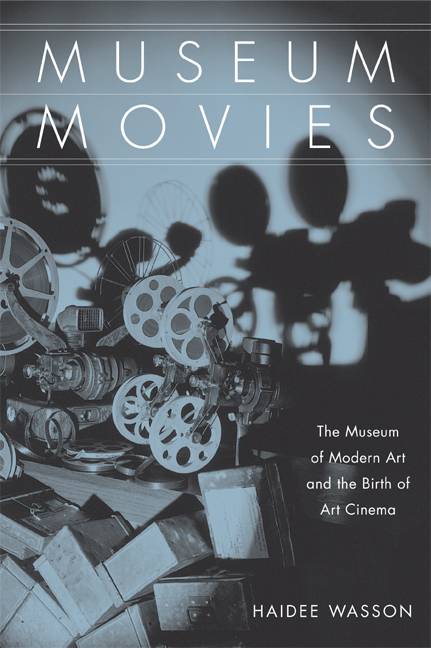 Haidee Wasson provides a rich cultural history of cinema's transformation from a passing amusement to an enduring art form by mapping the creation of the Film Library of the Museum of Modern Art (MoMA), New York, established in 1935. The first North American film archive and museum, the film library pioneered an expansive moving image network, comprising popular, abstract, animated, American, Canadian, and European films. More than a repository, MoMA circulated these films nationally and internationally, connecting the modern art museum to universities, libraries, women's clubs, unions, archives, and department stores. Under the aegis of the museum, cinema also changed. Like books, paintings, and photographs, films became discrete objects, integral to thinking about art, history, and the politics of modern life. Haidee Wasson is Assistant Professor of Cinema Studies at Concordia University, Montreal.